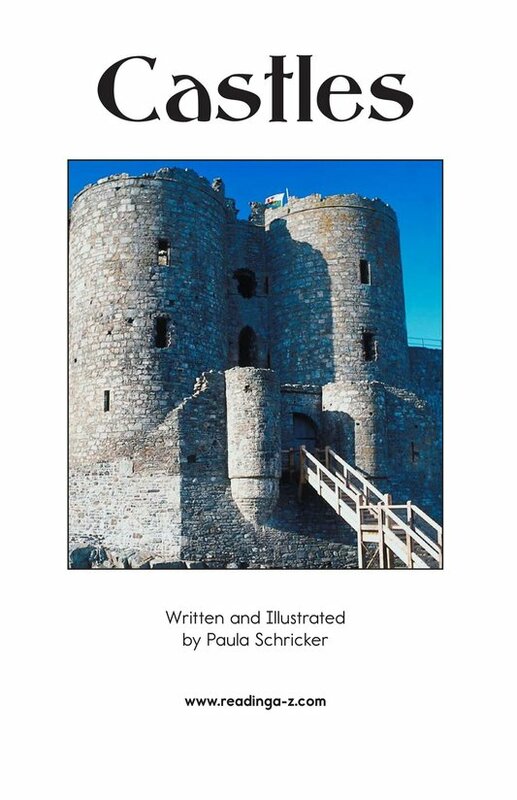 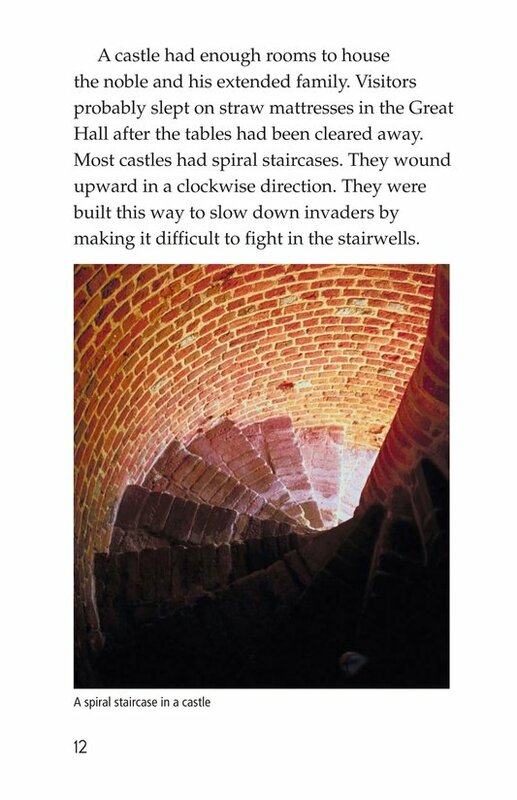 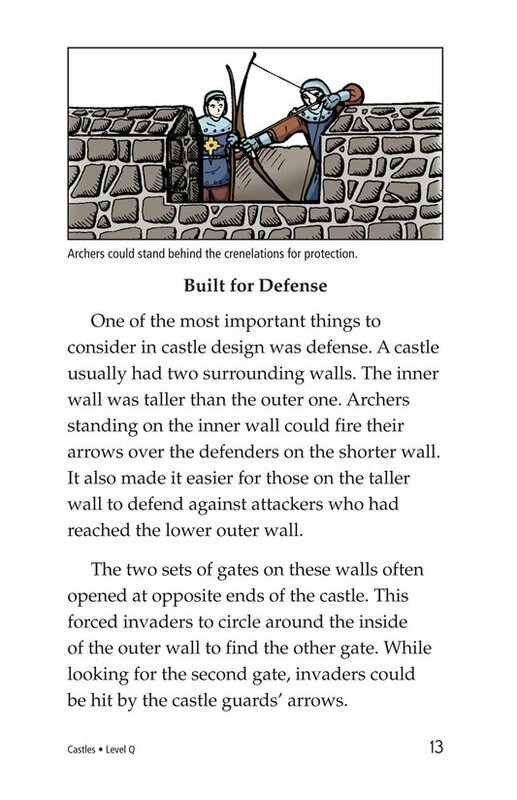 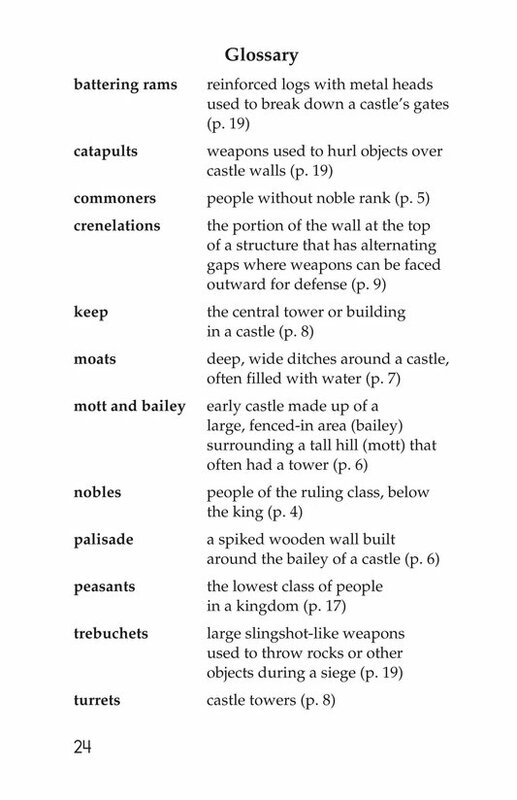 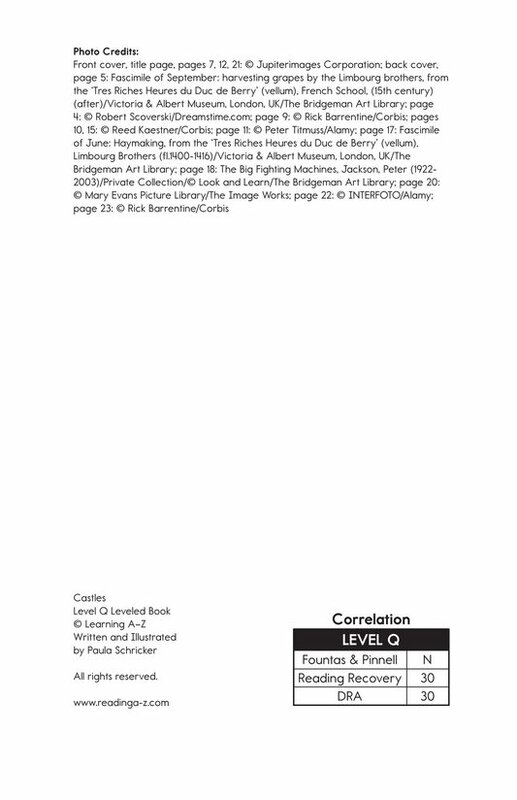 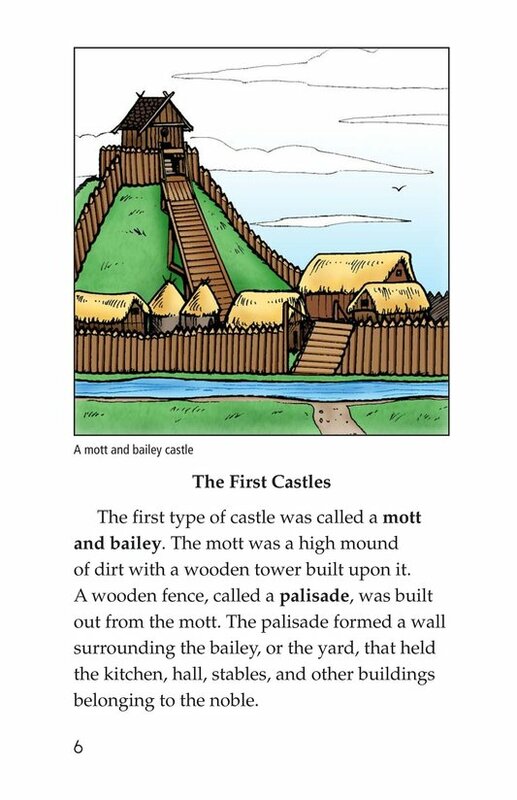 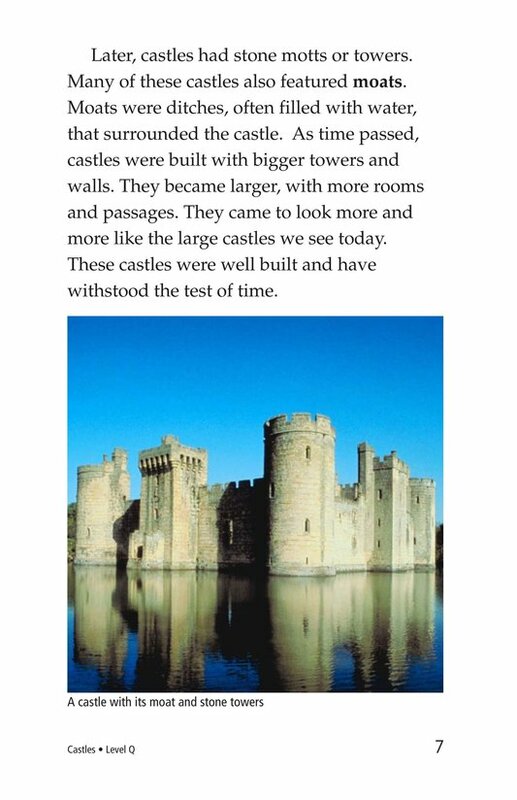 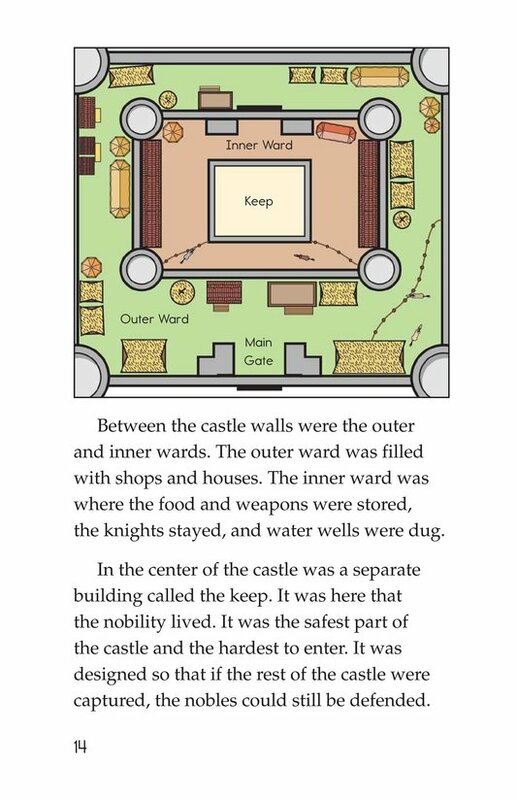 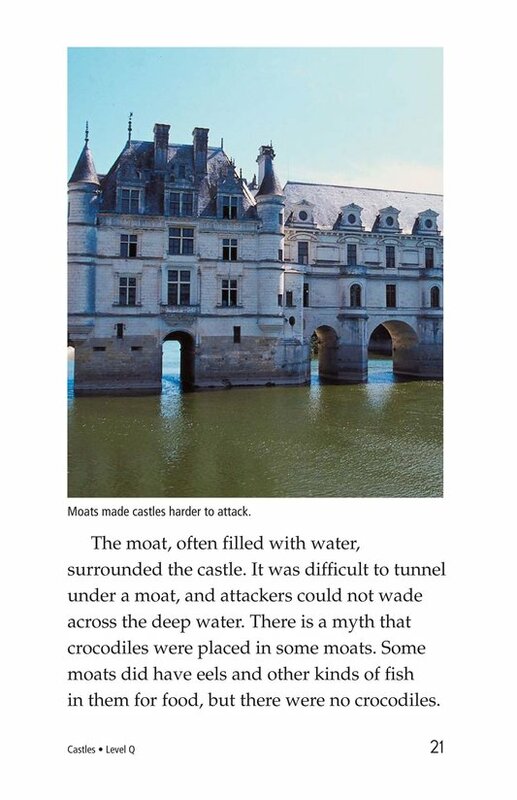 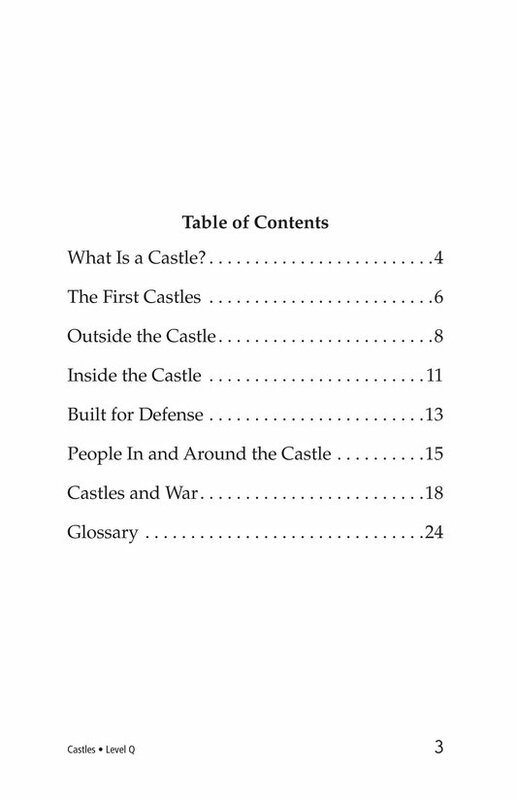 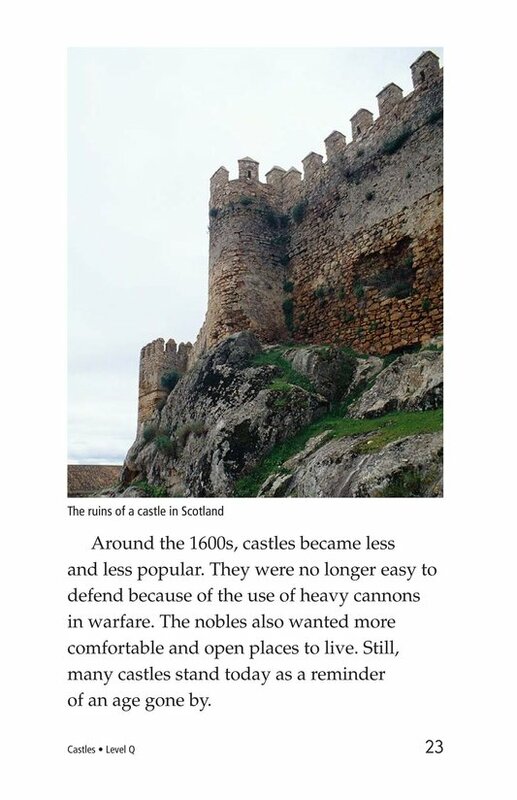 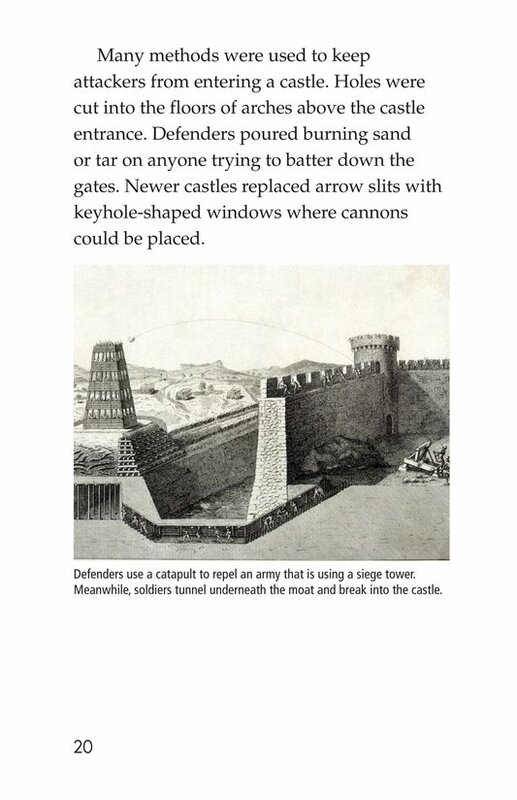 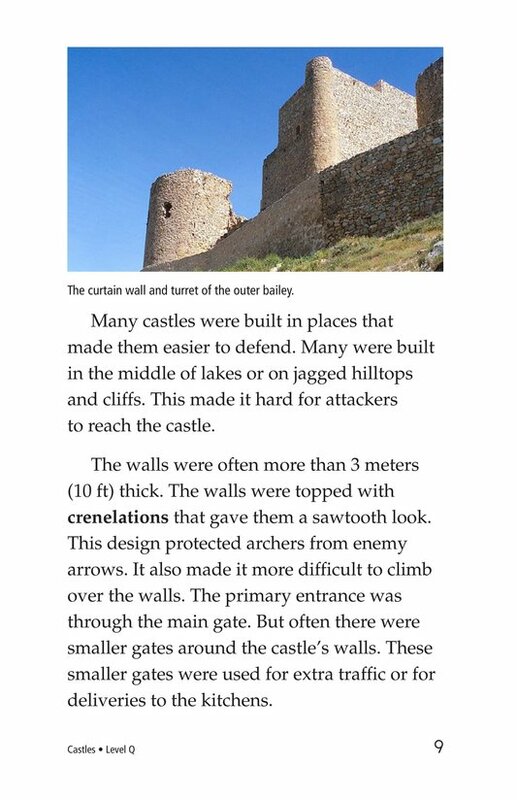 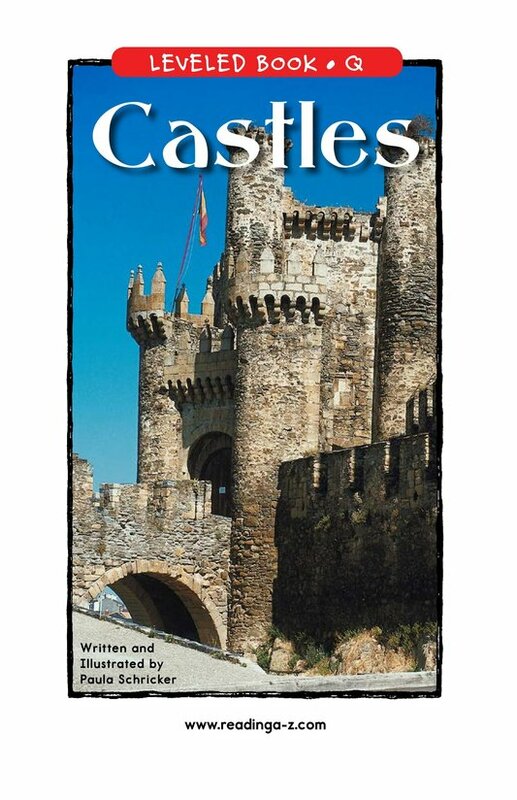 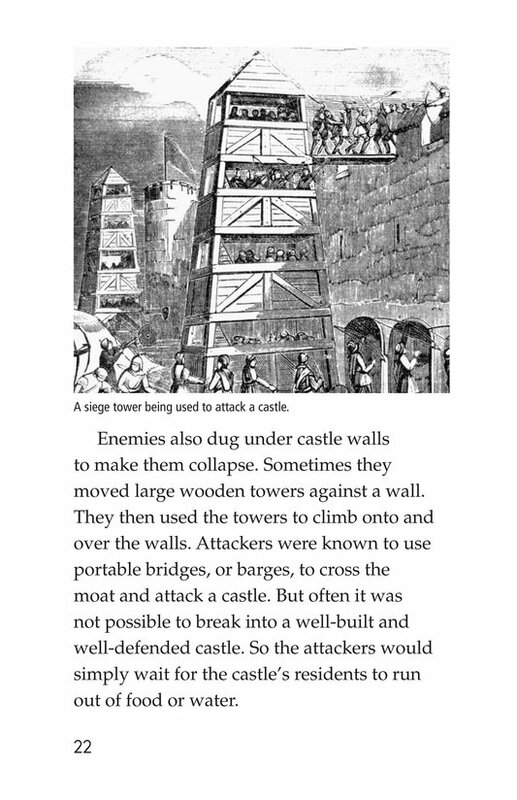 Castles is a factual text that describes castle building from early times through recently constructed castles. 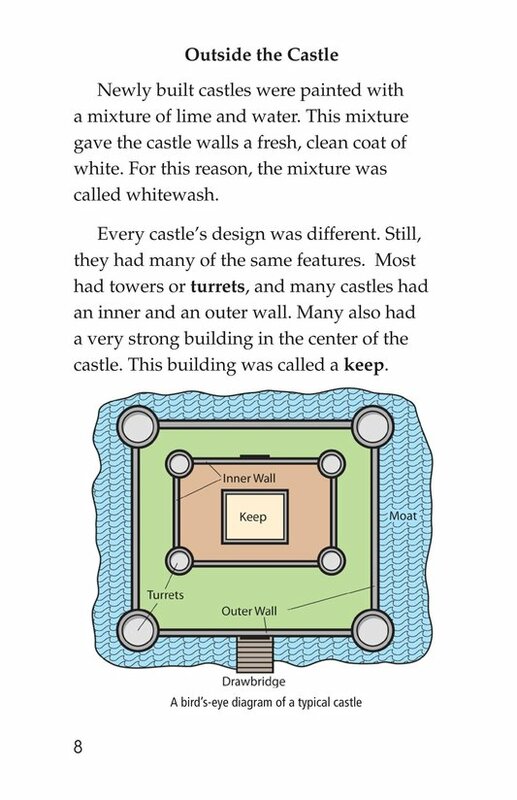 Details about interior and exterior features are included. 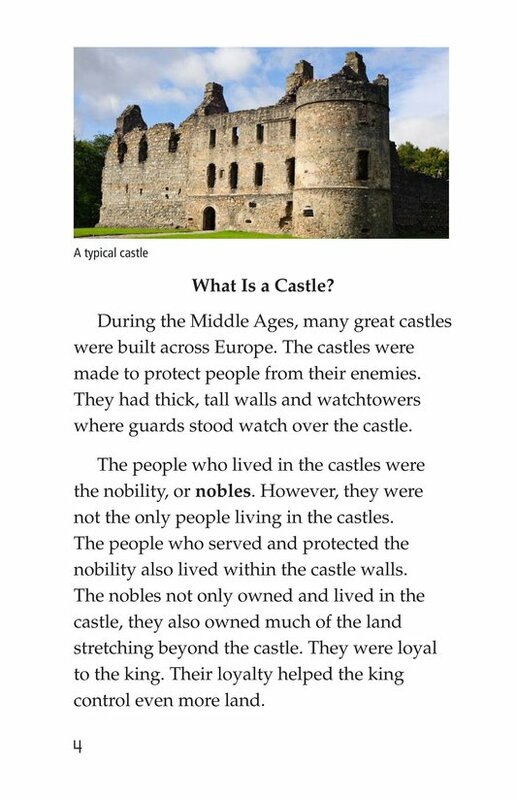 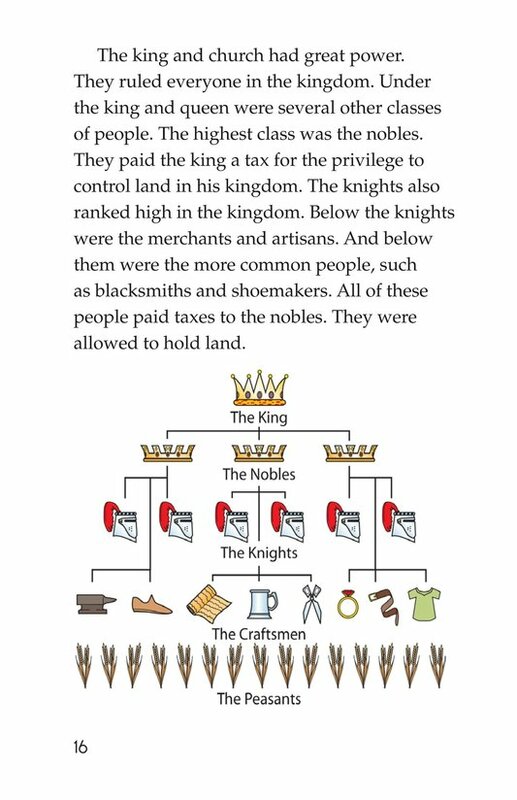 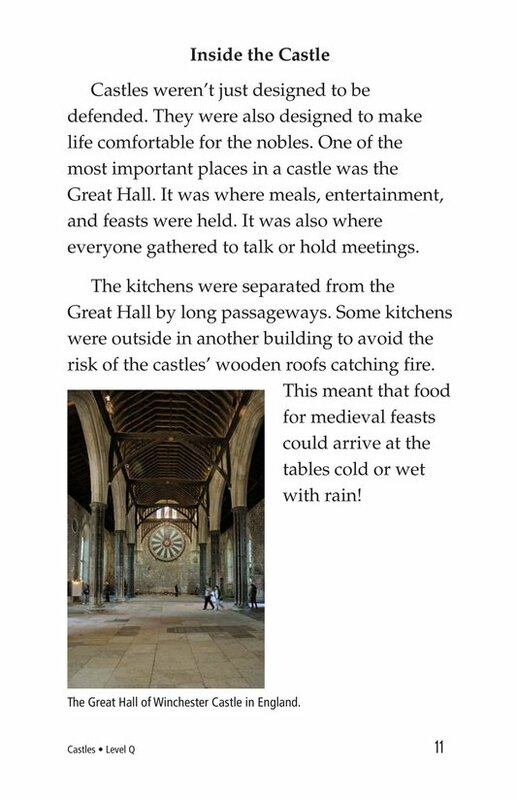 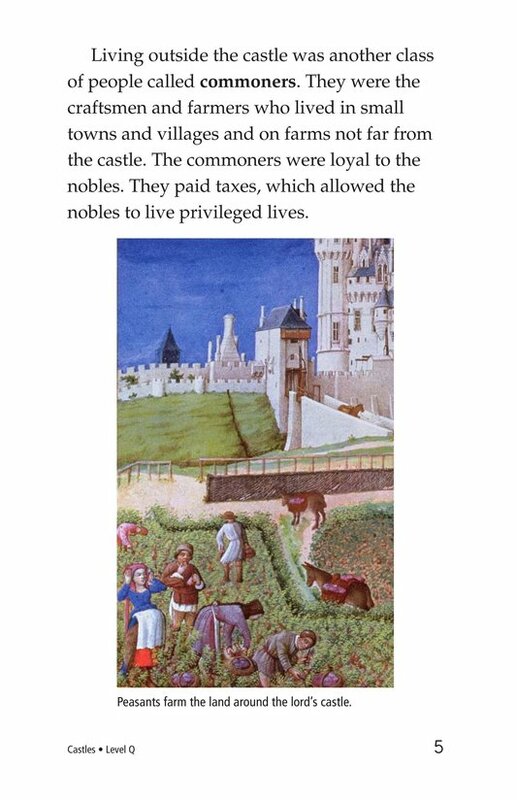 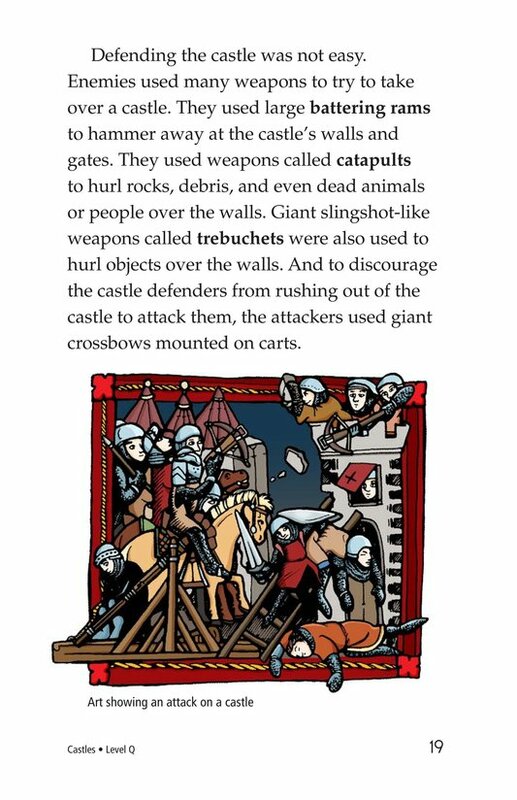 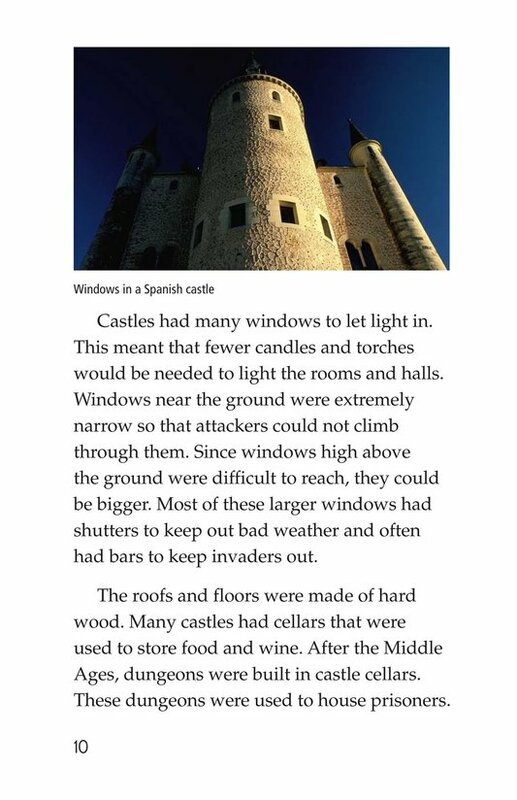 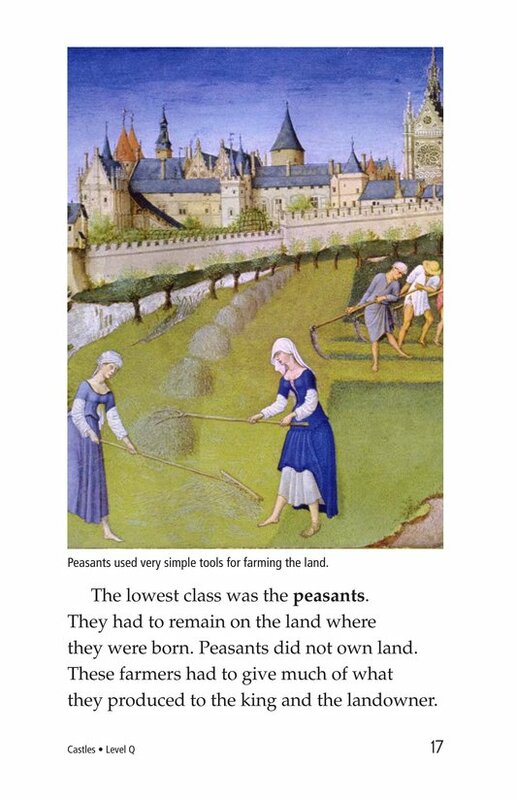 The reader also learns about the people who lived in and around medieval castles. 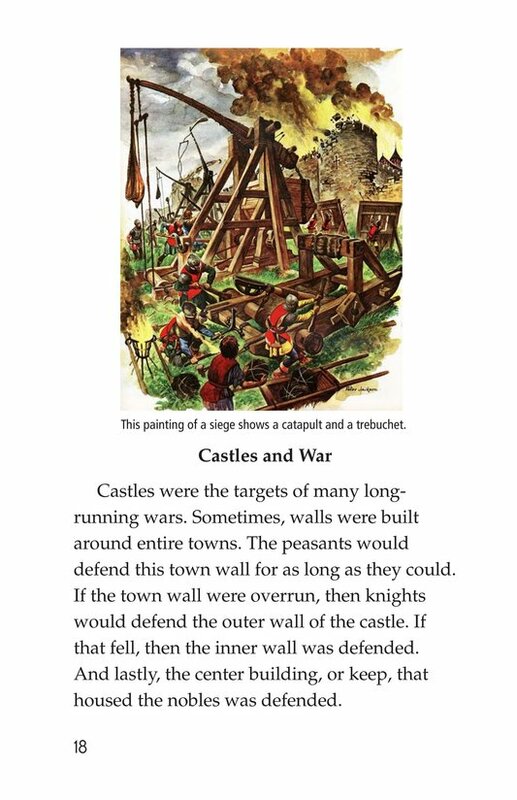 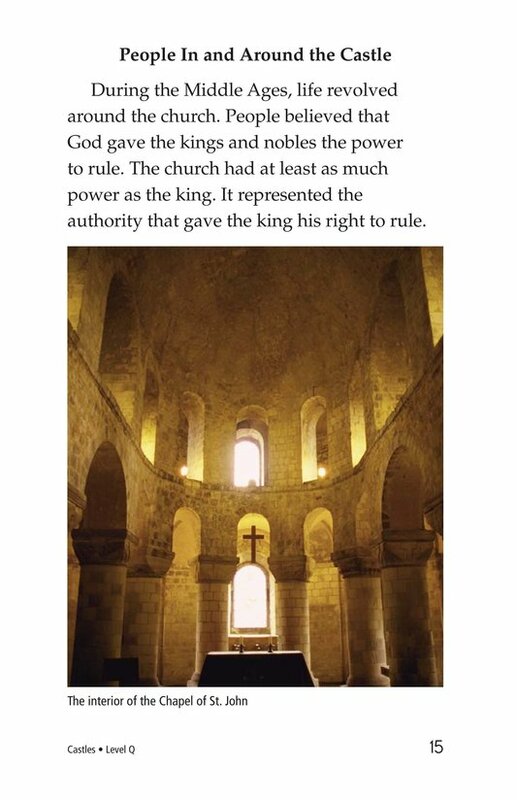 Both photos and illustrations support this informative text.